UK: This CD is distributed by Nettwerk/Pinnacle. Writer of "Walking Of Sunshine", "Going Down To Liverpool" and "Love Shine A Light"
Well-respected guitarist known for his wall of jangle and intricate lead guitar work as witnessed by anyone who saw the last Soft Boys tour, which included mostly fellow musicians! This is his 4th solo cd. The 2nd for Bongo Beat. Don Airey, keyboards; Colosseum, Whitesnake, Ozzy Osbourne, Jethro Tull, Deep Purple. Alex Cooper (drums) & Vince de la Cruz (bass), the Katrina & the Waves rhythmn section! Ian Gibbons, piano; was a member of the Kinks for 17 years! He has also worked with Roger Chapman, Ian Hunter and Dr Feelgood. A very busy writer and guitarist, Kimberley Rew has only released four solo albums within the last 25 years. He first came to notice in the late 70s as a member of Robyn Hitchcock's Soft Boys (a primary influence on REM). Essex Hideaway is his second CD on Bongo Beat, a label run by his friend Ralph Alfonso, who released the cult classic Soft Boys lp, Underwater Moonlight on Attic Records back in 1980, its only North American release at the time. In 1981, Rew made a solo single backed by the dBs before forming Katrina and the Waves, writing most of the group's songs including the worldwide top ten hit "Walking on Sunshine" (produced by Hitchcock's Pat Collier and REM's Scott Litt). The Bangles also covered Rew's "Going Down to Liverpool". At Rew's suggestion, the Waves sent their indie debut to Attic, and Ralph once again released two Canada-only Waves lps (now avail on Bongo Beat) before the group signed to EMI worldwide and "Sunshine" rocketed around the charts worldwide. Katrina and the Waves toured; opening for the Kinks, the Beach Boys, and Squeeze among many others. Rew concurrently recorded and made guest appearances with Ashley Hutchings, Robyn Hitchcock, Julian Dawson and Boo Hewerdine. In 1997 Katrina and the Waves won the Eurovision Song Contest for the UK with the Rew composition "Love Shine a Light", a Europe-wide hit. In 1999 Rew appeared on Robyn Hitchcock's Jewels for Sophia and its associated tours. 2000 saw Rew's second solo album, Tunnel into Summer. In 2001 the Soft Boys reconvened to re-release their Underwater Moonlight album, and tour the US and UK with a brand new cd, Nextdoorland, after which the band dissolved again. 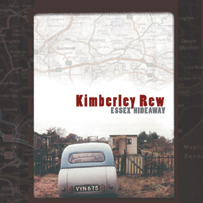 Essex Hideaway is probably Kimberley's best and most personal album to date; a love letter to life and wonder and all things British and beautiful. Rew's trademark cascading wall of guitars enrich an album that pours out of the grand tradition of Ray Davies, Robyn Hitchcock, Dave Edmunds, Nick Lowe - a wry and caring eye on life's small wonders, obscure figures from literary history (Jerome K Jerome), and side trips to British music hall and whimsy. It's an understated joy. A welcome tonic from the noise and blare. It's in the lineage of the Kinks' Village Green Preservation Society but maybe even more pure in its view of the British panorama. It will not disappoint anyone looking for perfect pop observations and great guitar playing.